“B – Sides” is a compilation of some leftover fuzzy tracks, a couple of remixes and some hidden fuzzy tracks that were previously released in their last 3 works. This work is only digitally published by The Fuzzy Nerds label “Psycho Puppie Records” in collaboration with TMC Music Publishing. Tracks like “Insight” are a must see for fuzzy gigs, while “...And they were grey” used as an intro for every gig on Happy Fuzzy Mirror Phase Tour 0910. 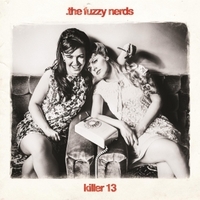 The track “Τίποτα Δεν Με Κρατάει Εδώ” is the first fuzzy track ever with greek lyrics, since it's a cover mix the nerds did for a song originally written by the electro band “Chromata”, using only the female vocals out of the original track, giving it a purely alternative rock touch instead of its original electro sound. this is a Fuzzy Nerds mix using only Eva's vox out of the original track.